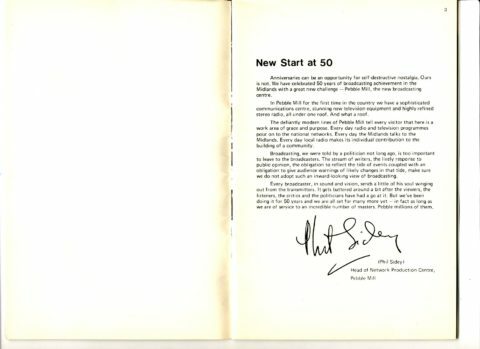 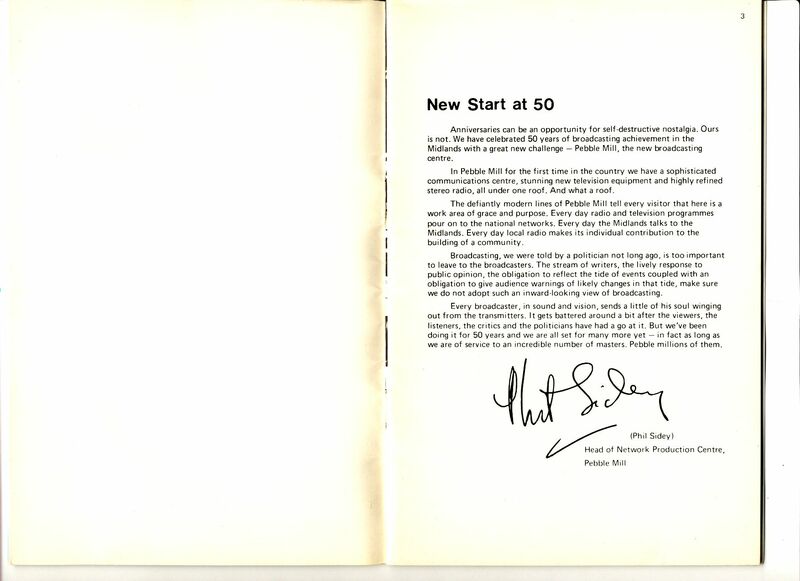 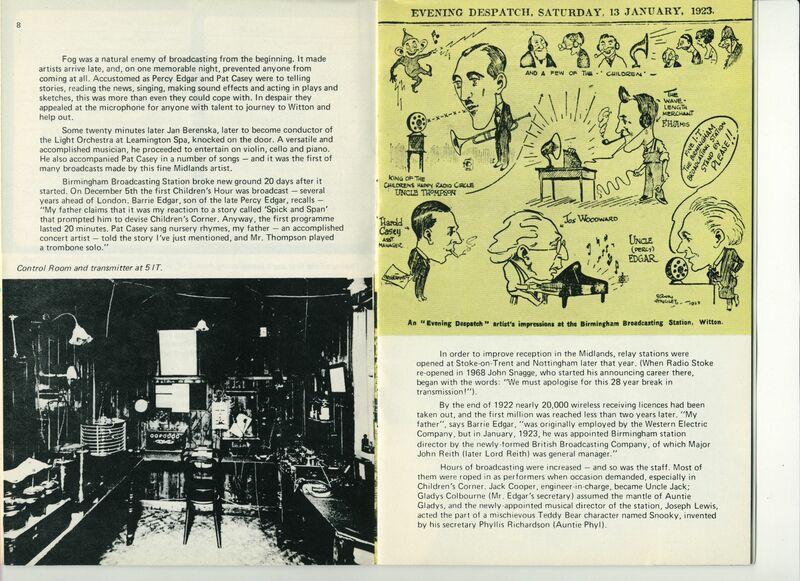 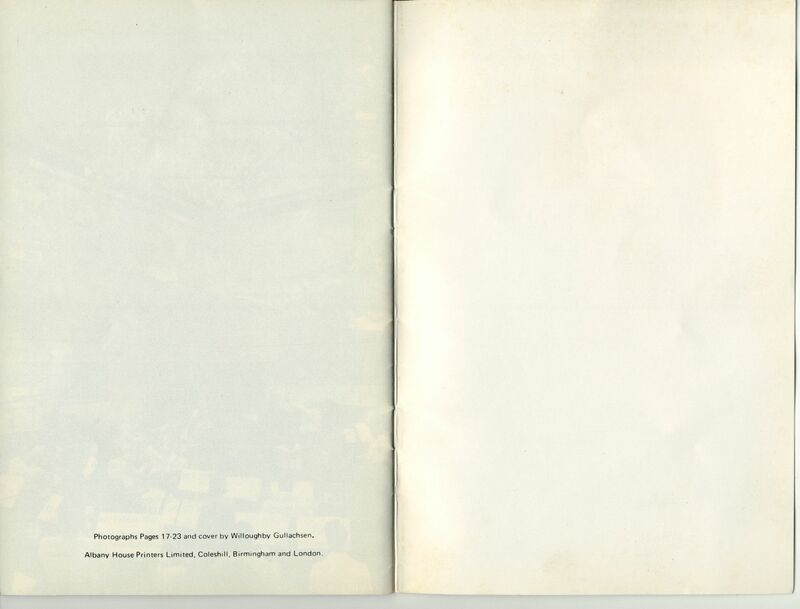 This little booklet documents the first 50 years of BBC broadcasting in the Midlands – from 1922-72. 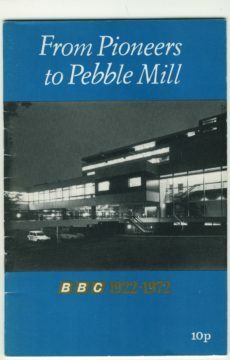 The forward is written by Phil Sidey, the Head of Network Production Centre at Pebble Mill in the 1970s and early 80s. 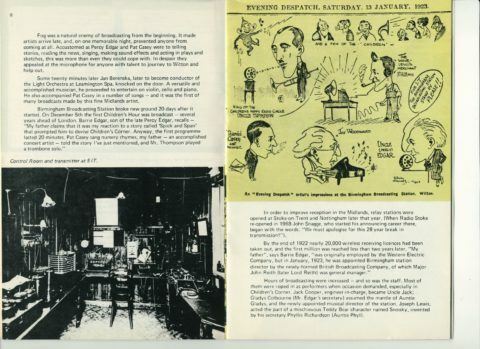 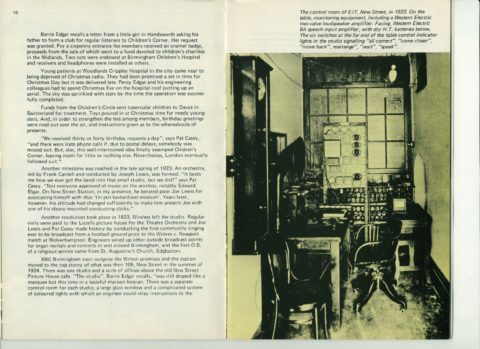 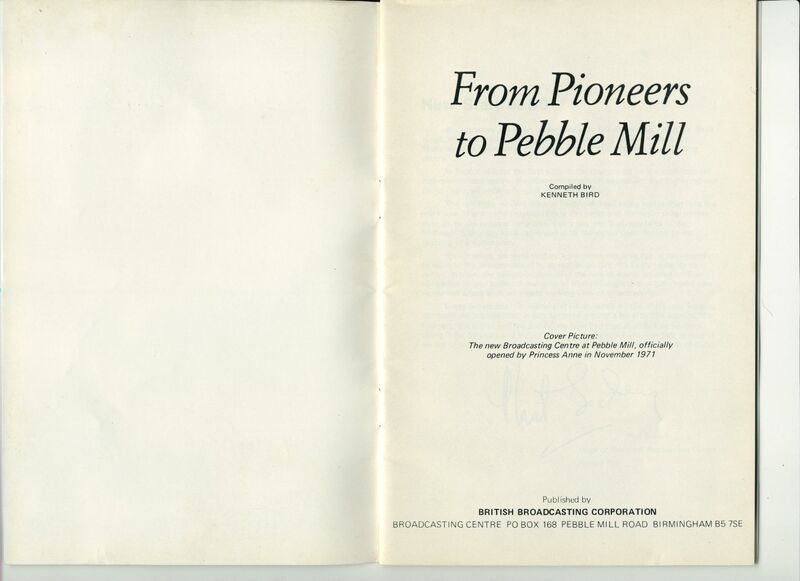 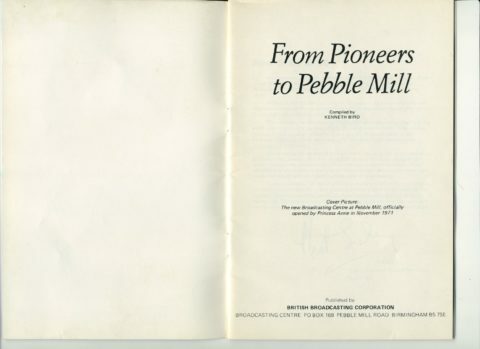 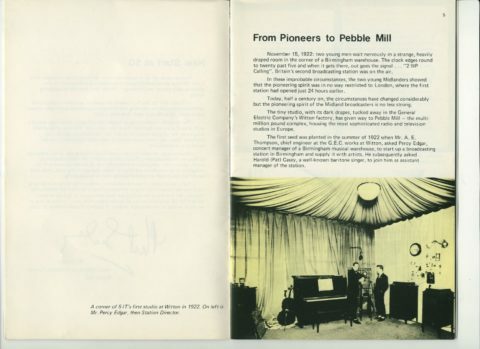 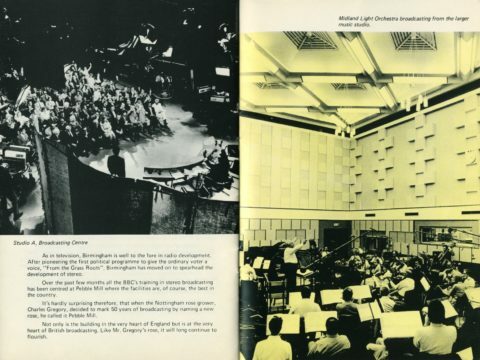 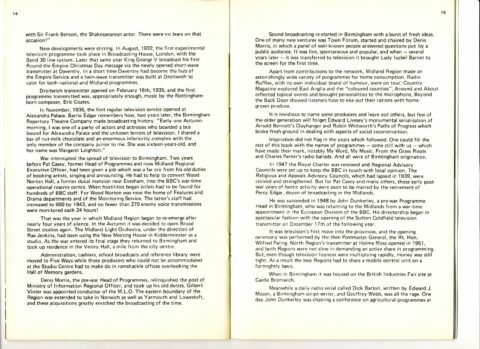 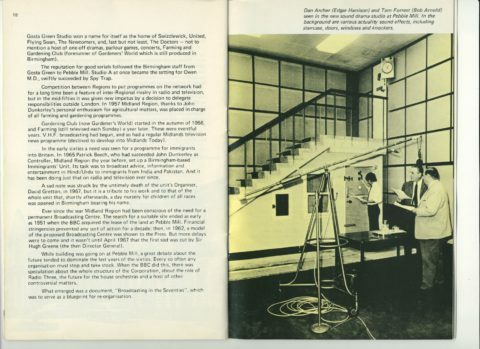 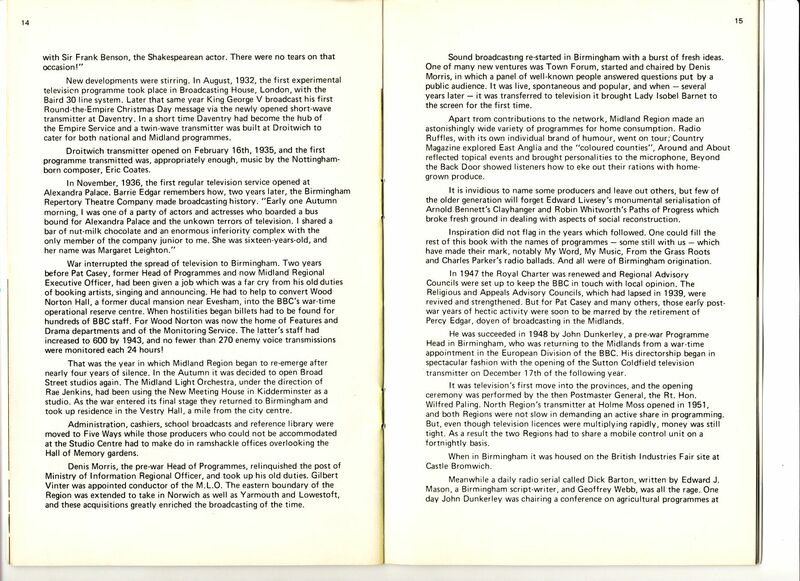 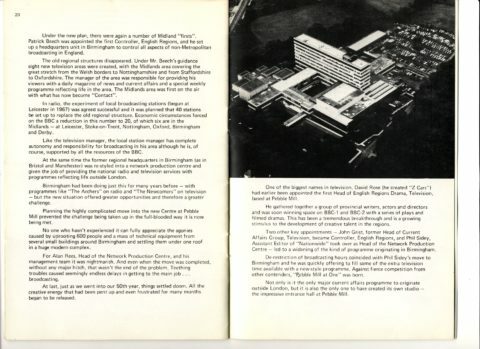 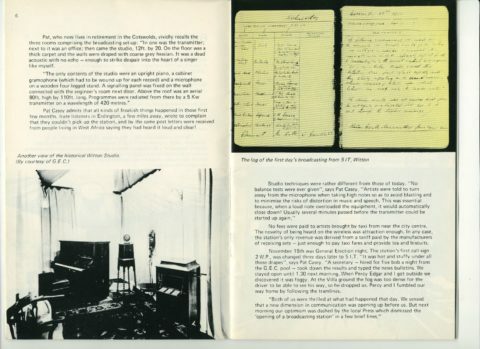 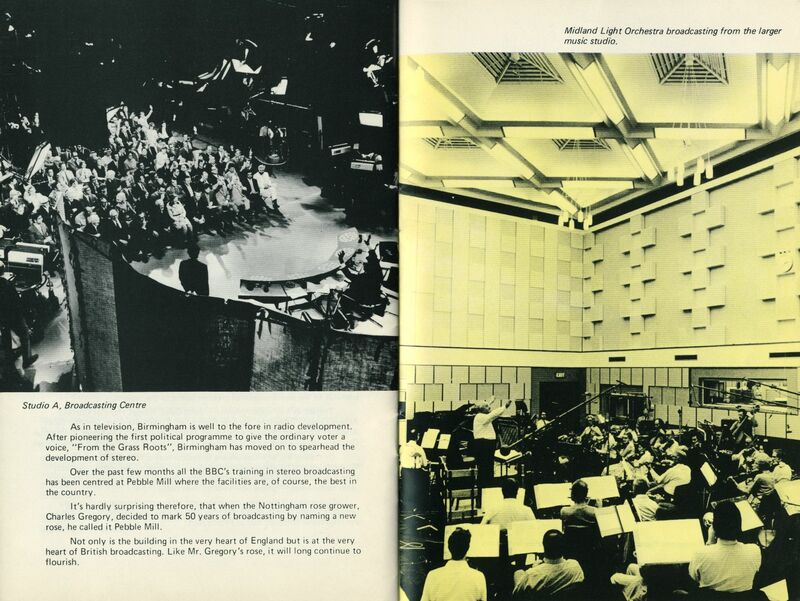 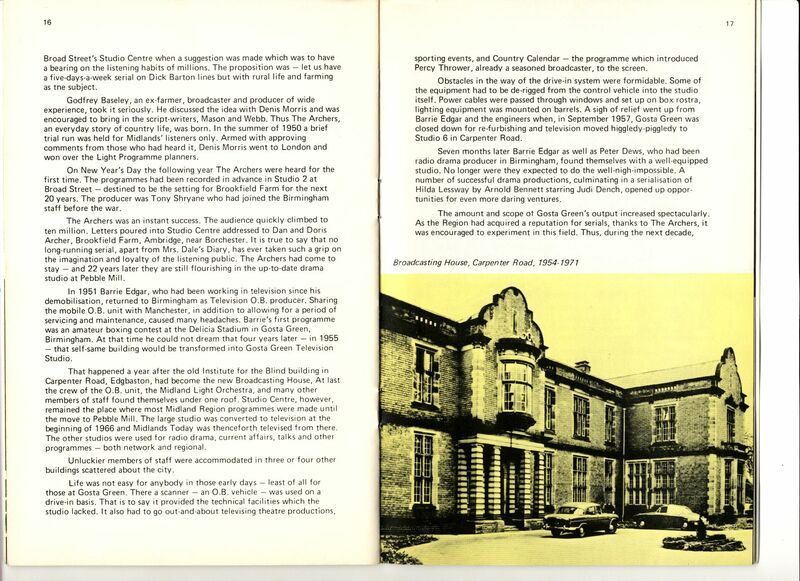 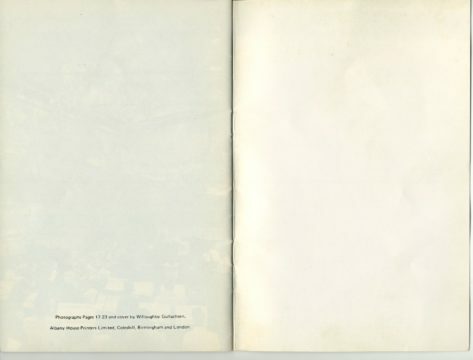 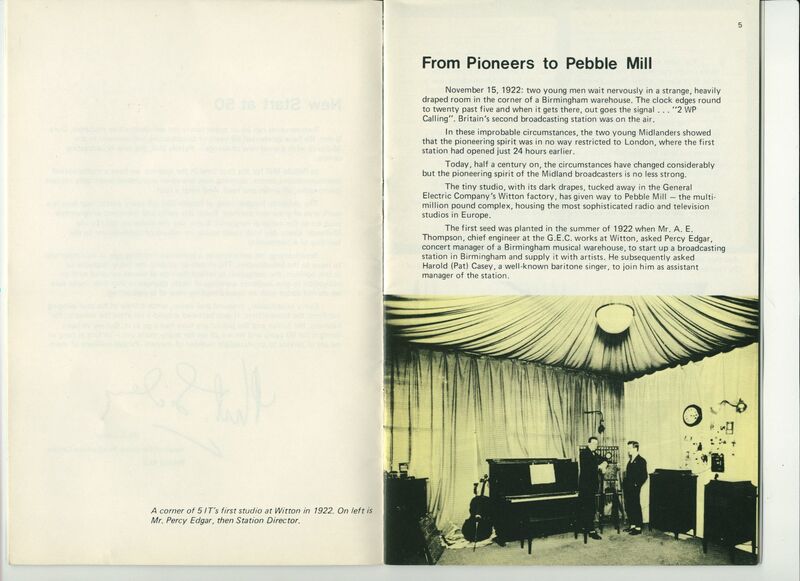 The booklet tells the story of broadcasting in the Midlands, from the first studio in Witton in 1922, to the premises in New Street, followed by Broad Street, Carpenter Road (Edgbaston), Gosta Green and then Pebble Mill. 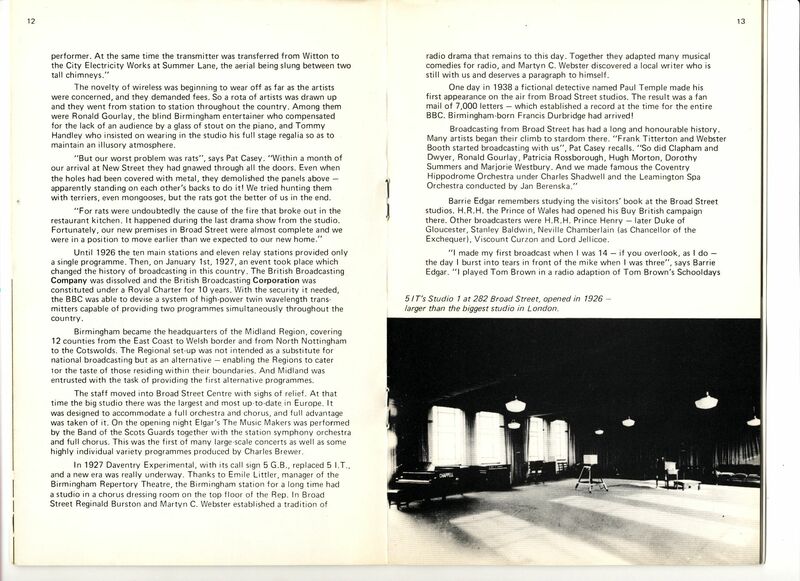 Many of the photographs were taken by Willoughby Gullachsen. 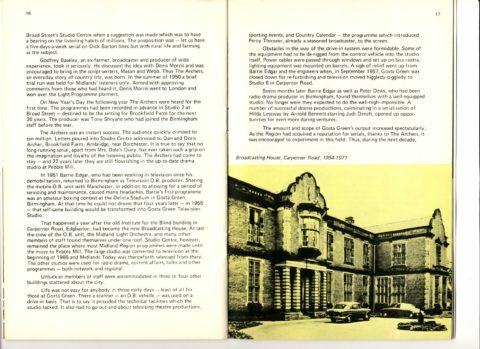 Thanks to Pete Simpkin for making the booklet available.